I am an experienced Head of Geography and Curriculum Team Leader for Humanities. I teach Geography in an 11-18 school in Oldham. I am a Physical Geographer and a Geologist. I love Iceland and want others to love the country as I do. I love the case study of Heimaey, the Westman Islands. Climbing an active volcano is not to be missed and seeing how humans controlled nature! 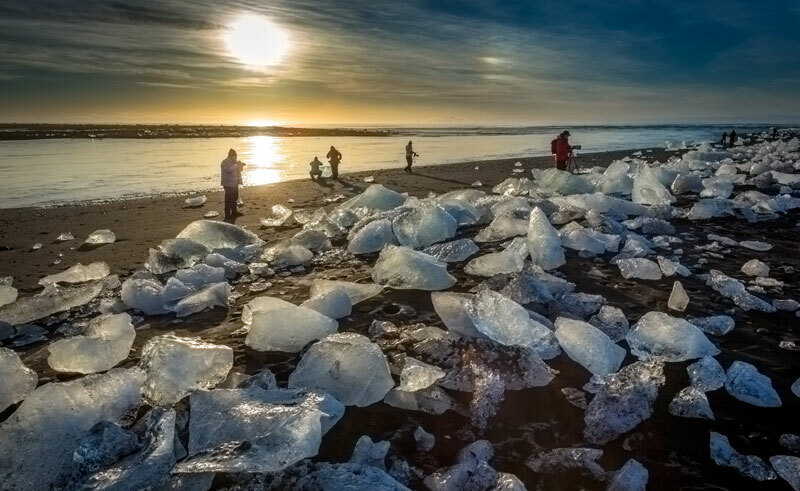 But I think my all time favourite place in Iceland would be Jokulsarlon Glacial Lagoon and beach – so mystical and magical with the ice blocks on the black beach.